Gilberte Interiors, Inc. 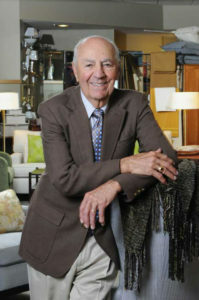 In the News - Gilberte Interiors, Inc.
Aharon and his sister Cheryl Boghosian have held the torch passed down by their parents, Gilberte and Andy Boghosian, and have navigated the often tricky task of running their family business. As second generation owner’s, understanding the challenges of managing a family-owned small business is nothing new and certainly not boring… Read full article here. Cheryl Boghosian and her brother Aharon have design in their blood. Their mother, Gilberte was raised in Marseille, France and studied women’s couture fashion. Her passion for design eventually spilled over into interiors as well. Andy Boghosian, their father, was an engineer, had a knowledge for solving technical challenges, and recognized the demand for quality interior design services…. Read full article here. 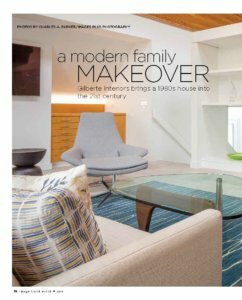 A Modern Family Makeover — Gilberte Interiors brings a 1980s house into the 21st century.View full article. West Lebanon—During the later years of his life, Andy Boghosian was happiest when he was with any of his four grandchildren. When he couldn’t be, almost anyone else would do. With a gregariousness matched only by his acumen for mechanical detail and design, the longtime engineer and proprietor of the successful Gilberte Interiors Inc., made everyone he met feel as though they’d just made a new friend. 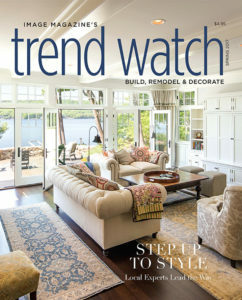 Turning a House into a Home by Nancy Fontaine — For half a century, Gilberte Interiors has helped clients create fresh and comfortable living spaces. Rustic Wood Beams Wow in 4 Kitchens by Mitchell Parker — Bringing in wood helps warm a space, something that’s especially welcome in stark white kitchens with steely appliances. But when applied to flat surfaces like cabinets, countertops and floors, wood tends to recede into two dimensions. 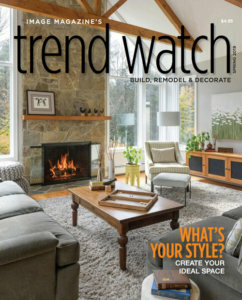 To capture the warmth and still bring in some 3-D heft and texture, consider rustic wood beams and posts. 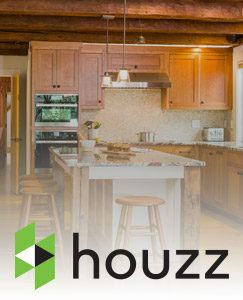 View full article on Houzz. 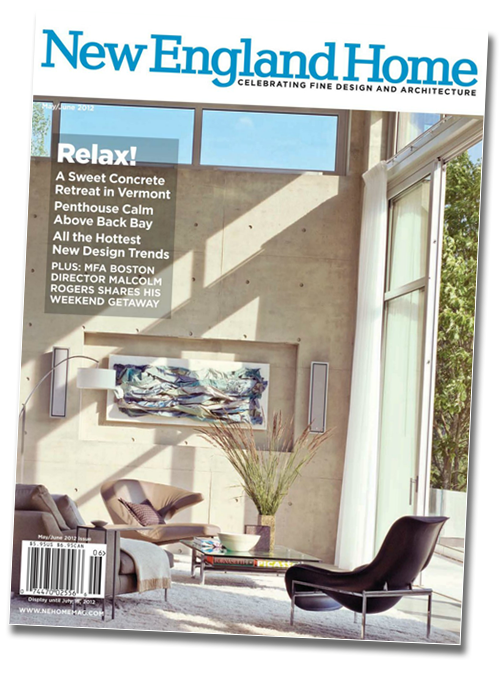 For 49 years, the team at Gilberte Interiors has spent time with homeowners and their families listening to what makes being at home special to them. Moving through spaces that focus on scale, lighting, color, and texture can make us feel good without even knowing why. 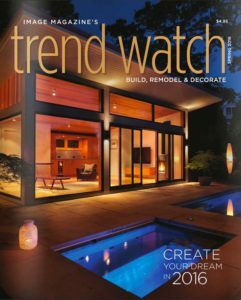 “We oversee the entire process, working with our clients and their construction teams from conception to completion at no additional cost beyond the materials and products,” explains Cheryl Boghosian, ASID. “We understand how products work and what materials and applications are best for specific needs. We study how the client will use the space, the furnishings, and the flow before the first changes are made.” Aharon Boghosian rejoined the family business in 1989. His forte is the bath, kitchen, tile, stone, and window treatment areas of the business. Aharon has a keen eye for detail and provides outstanding customer service. 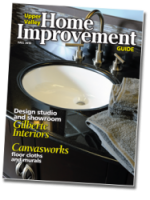 Gilberte Interiors – Design studio and showroom. 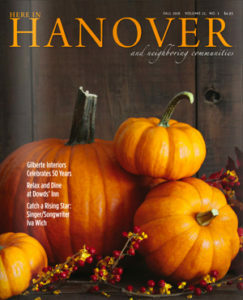 Cheryl Boghosian interviewd by Ann Holmes at the Howe Library, Hanover. Aired May 25th at 6:30 PM on Comcast channel 20.